Trim the ends off of your sprouts and swipe off any dingy leaves. 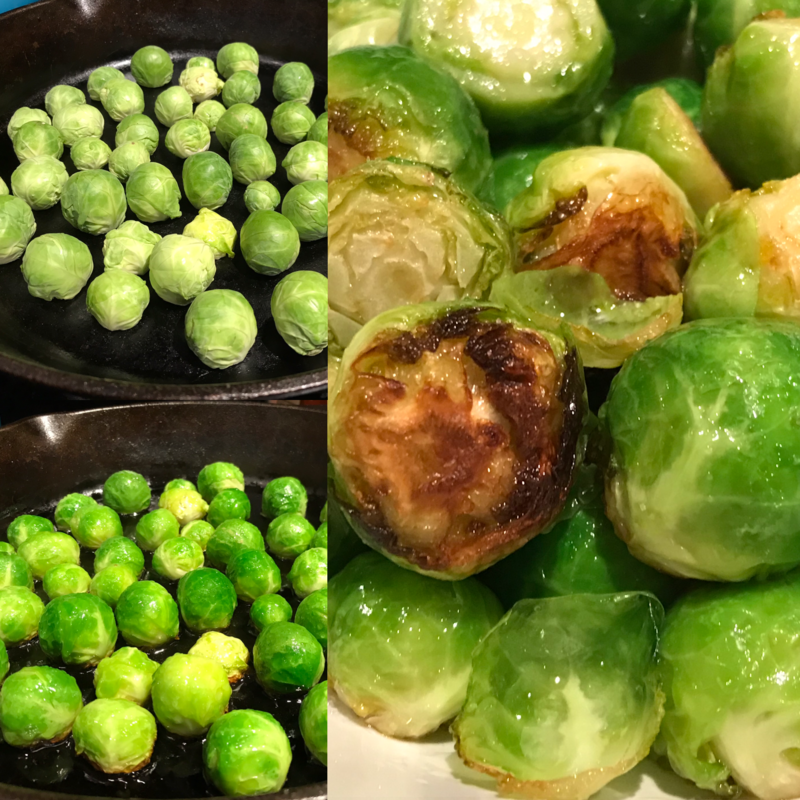 Keep your cast iron OFF the stove and arrange your sprouts cut end down on the cold pan. Coat generously in olive oil until the bottom of the pan is completely covered. Place cast iron on stove top and set the burner to medium-high heat. Cover for 5 minutes and do not lift the lid whatsoever. After your 5 minutes is up remove the lid to see your bright green sprouts. With a dry fork or metal spatula lift a few sprouts to look for a nice browned cut end. If they aren’t as brown as you’d like let them cook a few minutes longer without disturbing the pan. Scoop out with a slotted spoon. Toss with sea salt and pepper. Cook’s Illustrated was my inspiration here. They had the cook toss this with lemon juice and hard italian cheese like romano. However I’ve kept this vegan and tossed with chopped nuts, dried fruits, pomegranates and clementine wedges. You could really get creative with what you have in your pantry.